Crochet pattern is available here: Passionflower Paz. 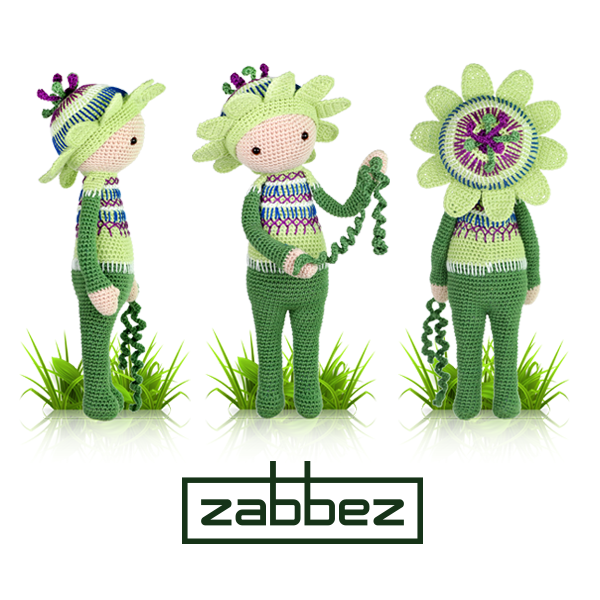 I am very proud the pattern for the Passionflower Paz amigurumi flower doll is now online. It is a lot of work making, testing and translating patterns and I am grateful for all the help I have gotten from very kind people. A special thanks goes to translators Doris, Julia Sierra, Marianne Topping, Corinna Capecchi, Emilie leHandmade, Delphine Darthial, Mercédesz Müller and Marta Jastrzębska. They worked very hard to translate the pattern. Without them it would not have been possible. And it is not only translating that has to be done. After translations, it has to be checked, double checked and tested. The entire pattern has been test crocheted in every language. Thank you Natalie van Dalen, Marjan Groen-Klaver, Jennefer Richardson, Sandra Dahms, Claudia Bock, Nanette Sobiech, Sandrine Manceau, Beatrice Mauhourat, Mélanie Cador, Cecile Giraud, Claudia Gabriela Avila Ortiz, Estrella Ruiz Mtnez, Marta Ojea, Marta Aldrighetti, Noriana Marangon, Selene Lit Caldieri, Fabia Crepaldi, Laila Thomsen, Renata Oszlánczi, Daniella Perge, Barbara Lóczi, Laura Olah, Gosia Paluch, Iwona Janiak, Ewa Zagawa and Anita Luiza Oleszczuk. And thank you to everybody who put in an effort. Your support means a lot!